Remothered: Tormented Fathers is ranked in the 52nd percentile of games scored on OpenCritic. Remothered: Tormented Fathers is a wonderful single-player horror experience that any horror fan would enjoy, especially those out there mourning the lack of "real" survival horror games. Remothered: Tormented Fathers is a good survival horror based on classic games like Clock Tower, Rule of Rose and Hunting Ground. It tells a compelling story that is a bridge between the incipit and the next two chapters of the upcoming trilogy. Overall, Remothered successfully combines stealth and survival horror but the one major drawback is the audio feedback when exploring the Felton residence. 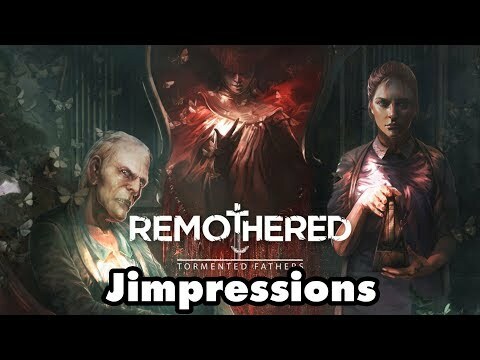 Lovers of classic terror will feel that Remothered: Tormented Fathers, despite the lack of variety of situations, is a good tribute to the genre and we can't wait for its continuation. Remothered: Tormented Fathers is one of the best horror games released in recent years, thanks to an engaging story and a well-crafted experience inspired by the Clock Tower series and other older games. With an excellent atmosphere, the lack of predictable jump scares and constant tension, Remothered: Tormented Fathers is a game that any true fan of the genre should not miss. Gripping Giallo with technical flaws and minor gameplay weaknesses in the last third of the game. Despite its flaws, Remothered; Tormented Fathers is a step in the right direction for survival horror. Horror fans should give the game a serious look. A great psychological story set inside a creepy mansion. It may not be perfect but Remothered: Tormented Fathers does just enough to keep your interest up until the very end. An effective homage to Clock Tower that manages to create a similar sense of helplessness even if it doesn't improve on the formula in any notable way. While some of its bugs and awkward graphics take away from the game as a whole, Remothered: Tormented Fathers is an homage to classic old-school survival horror games that fans of the genre will definitely appreciate. There are moments that fans of horror willl absolutely love and stick with you long after the game is finished. Unfortunately, this is severely hampered by repetitive and frustrating gameplay. Remothered: Tormented Fathers is a horror game that has potential but lets too many small issues bring it down. Its story keeps you on your toes but only after wading through the sometimes murky gameplay. Remothered generates just as much frustration as it does atmosphere, making it one of those games that you want to love but can't because it just keeps kicking you in the face. In the first few hours, it might scare you, but when you get used to the gameplay and its tricks, you’ll find yourself experiencing some cheap horror elements that more often than not are merely stressful. Remothered: Tormented Fathers has plenty of terrifying potential, but a convoluted story, repetitive gameplay, and questionable voice acting handicap its chances of being truly great. The game's narrative is impossible to condense, and its delivery can be cryptic to the point of confusion. As the first part of a trilogy, Remothered: Tormented Fathers offers an intriguing, obscure tale smothered by its own mystery.